This is a recipe I wish you had smell-a-vision for. It would convince you to make this immediately. This recipe is nothing fancy. 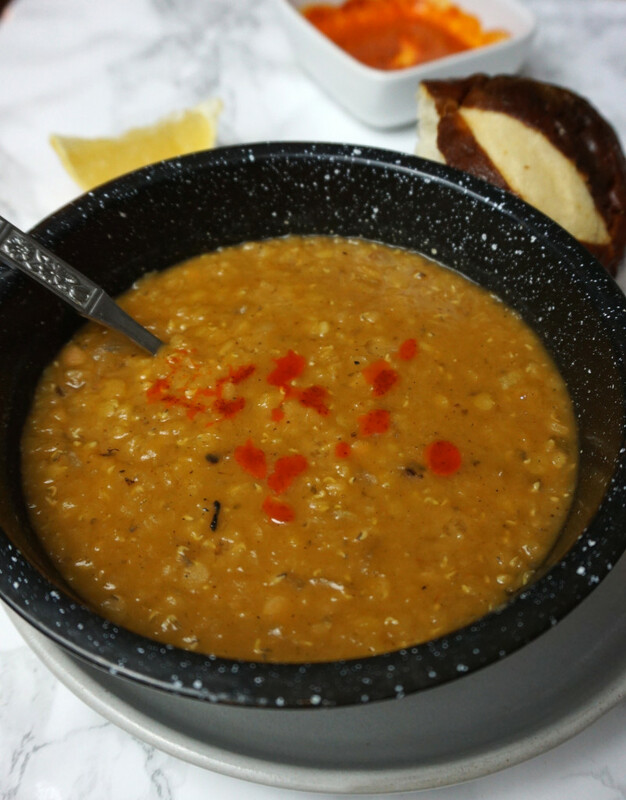 Pretty much just beans, spices, and broth, but it is so good! 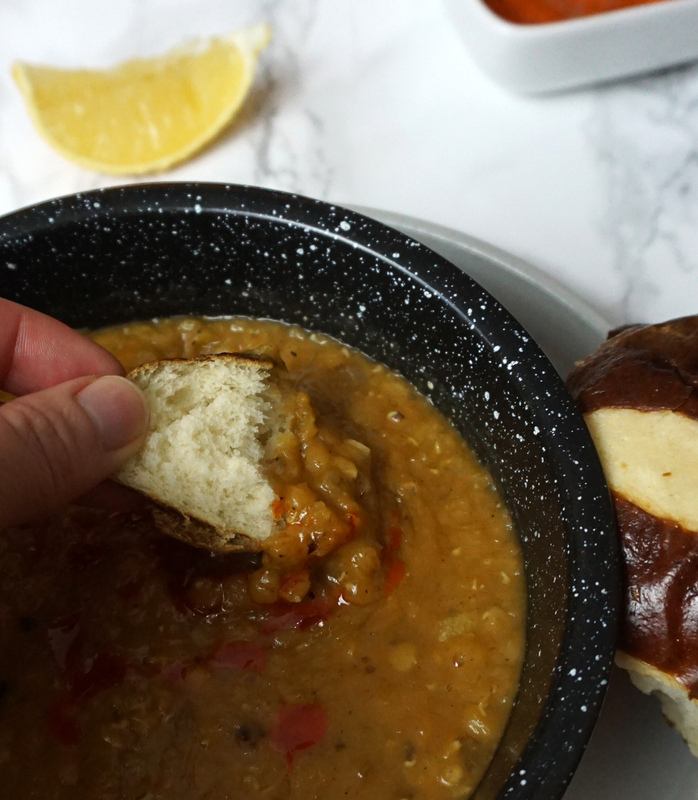 If lentils weird you out, fear not. I was in your shoes until very recently. Lentils are a food that I’ve never been a huge fan of. 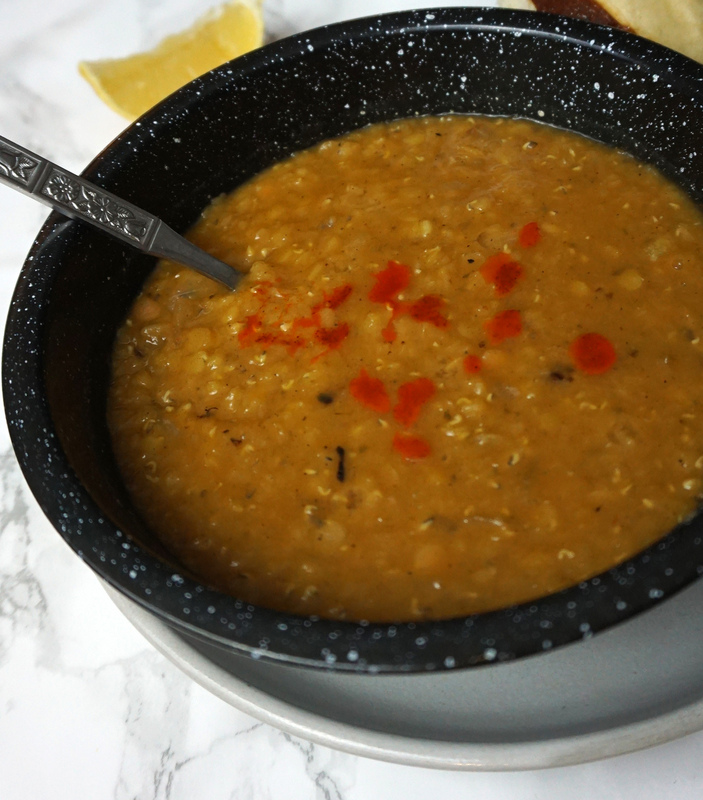 I became a little more open to the idea of lentils when I had them in an Indian dish and it was creamy, flavorful, and delicious. Here’s my general beef with lentils. There’s always too much bean skin for the amount of bean meat (these are things, right? 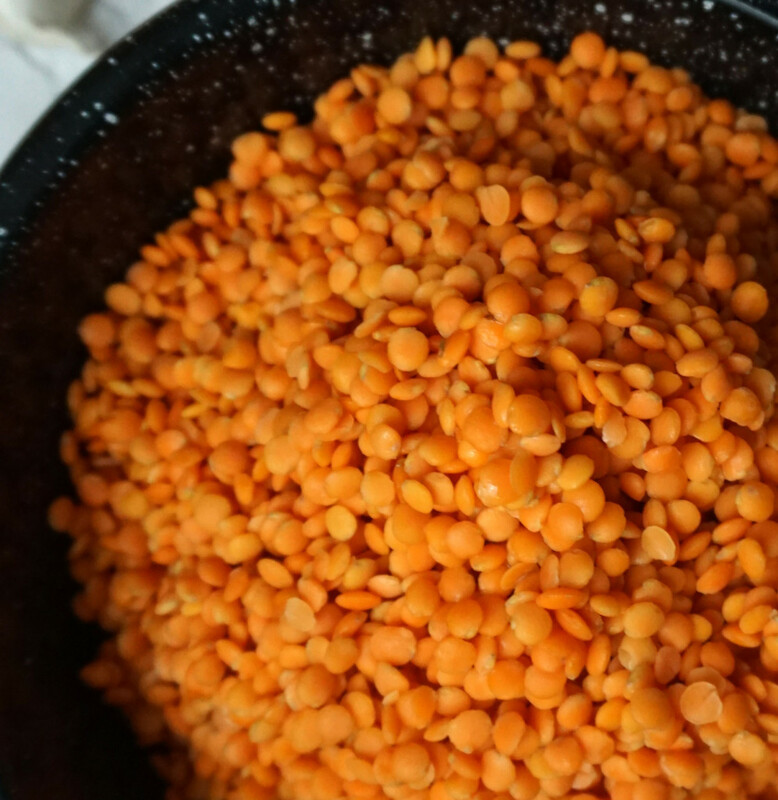 ), but these red lentils get softer and the skins aren’t as noticeable. Also, there’s no soaking like there are with other beans. 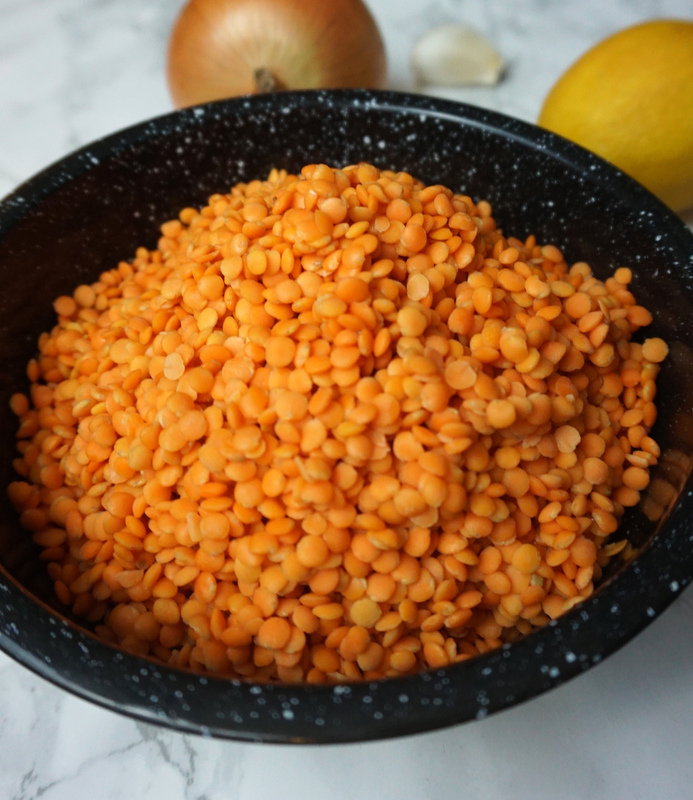 You can find red lentils in the beans section of the grocery store. We had a couple friends over working on a project when I was making this soup. At least one of them (two including myself) were lentil doubters. I think we were all lentil likers (maybe lovers?) by the end of the evening. One of my favorite things about food is changing my mind about foods I thought I didn’t like, and this recipe was a great example of this. Melt 2 tablespoons butter in large saucepan over medium heat. Add onion and 1 teaspoon salt and cook, stirring occasionally, until softened but not browned, about 5 minutes. Add coriander, cumin, ginger, cinnamon, cayenne, and ¼ teaspoon pepper and cook until fragrant, about 2 minutes. Stir in tomato paste and garlic and cook for 1 minute. Stir in broth, water, and lentils and bring to simmer. Simmer vigorously, stirring occasionally, until lentils are soft and about half are broken down, about 15 minutes. Melt remaining 2 tablespoons butter in small skillet. Remove from heat and stir in paprika. 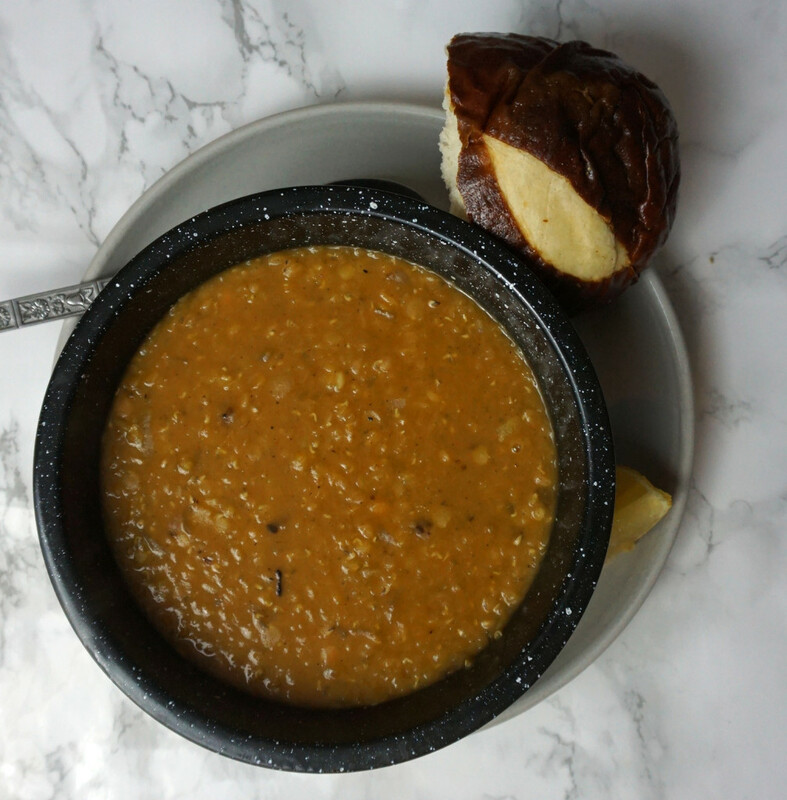 Ladle soup into individual bowls, drizzle each portion with 1 teaspoon spiced butter and serve.